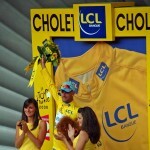 Springtime in Paris may bring flowers, but summer brings the Tour. 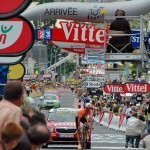 This year there are 21 stages and almost 2,200 miles. 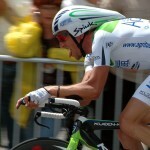 We caught Stage 4 and a moment of Stage 5 as the race passed near the Loire Valley. The first day we saw an individual time trial, which was fun since there’s something to watch for 6 hours as the 178 riders are sent out one at a time to beat the clock on an 18 mile circuit around the town of Cholet. The start, finish and pits area were all within a few blocks of each other, so we got to see a little bit of everything including the riders slumping over their bikes after they cross the finish. The next day was a more usual road course between two towns. We picked a spot on the side of a country road and waited for the pack to come cruising through. The anticipation built as the helicopters, team vehicles, press motorcycles and police cruised past us in a seemingly endless parade. 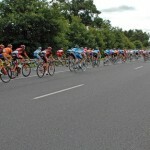 Then out of nowhere, the peloton appeared, and swept by us in a 20 second gust of wind. And that was it. We got in the car and drove to Leonardo Davinci’s house in Amboise for lunch. 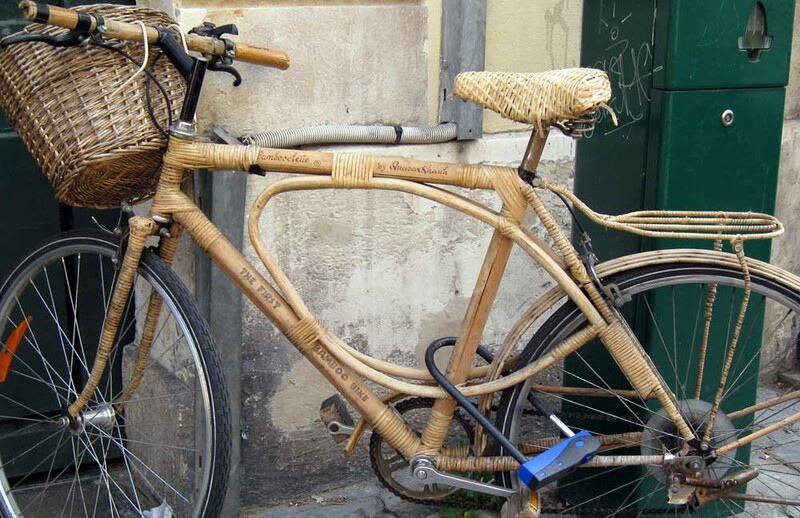 Remember you saw it here first, the next rage in green transportation: the Bamboo bike. After only three weeks of hoping they would get done by themselves, we finally sat down the other night and picked photos from our trip with mom and John to show you. Enjoy!